Wink Bingo offers players superior online bingo games and an excellent choice of instant games well. The site is packed full of great offers and special promotions, as well as lots of cash and other types of prizes ready for the taking. As a stand-alone site which uses 888Holdings/Globalcom software, Wink Bingo offers some really unique and impressive promotions. Best of all, there’s no software to download, so you can pitch straight in and start playing your favourite games. You’re assured of a fantastic and friendly time if you choose to signup at this popular site. There are 75 ball and 90 ball games, plus Birthday and Keno versions available across several rooms, with tickets costing from 1p to £1 each. There are also some fantastic guaranteed monthly jackpots like the Joy Pot games and the Big £5k game. You can choose to play free, penny, speed and team bingo. From the comfort of the lobby, you can see at a glance which rooms cost how much to play in. You can also see how many players are inside, avoiding both cramping and dead rooms. As you would expect, the usual game options are available at Wink Bingo. Turn automatic daubing on or off, sort your cards to show your best card on top, display tips, catch up on which balls have been called, and turn animations on or off. New members receive a big friendly handshake at Wink with a generous 300% first deposit bonus. After you’ve deposited £10, wager it on bingo to receive an extra £30 plus a £10 shopping voucher to use in the wink bingo rewards shop. Every subsequent bonus attracts a free cash match, bonus or promotion in some form or another. If you use the bonus codes available, weekend reload bonuses can reel you in even more free bonus funds. From time to time, Wink also offers no deposit bonuses, so keep your eyes firmly peeled on their website. There are regular special promotions offering players the chance to win lots of cool prizes like gift vouchers, cars, gadgets, holiday vouchers, cash and more. With many of the promotions, like the £20k Jubilee Joy Pot and £6k Spring Fling, you can earn free tickets to enter. Make sure you check out the Daily Delights promo where you could win £150 cash every day of the week. You’ll be spoilt for choice if you love free games because every day you can access free bingo rooms with six complimentary tickets and a chance to win a £10 prize. These games are available at 2pm and 6.30pm daily. Other Wink Bingo rooms, like the Queenie £50, offer great games from just 2p per card. Did we mention that there’s a guaranteed £50 cash up for grabs? Image Credit: Wink Bingo – Newbies Room: Play for Free. Yes Free. Fancy trying out the site for a couple of days first? 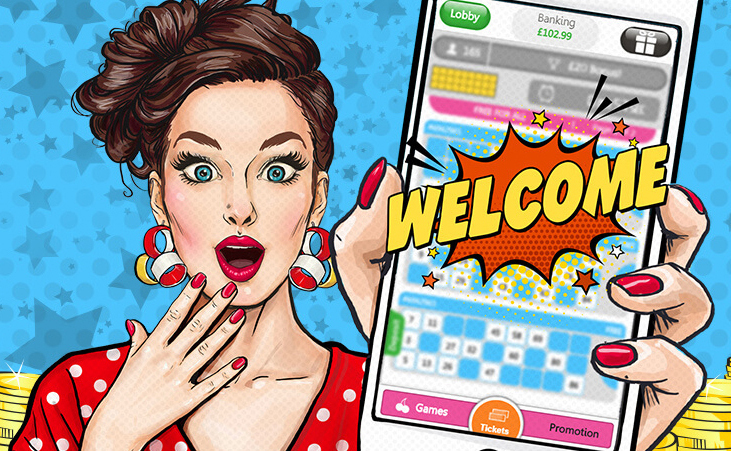 Win up to £900 in your first 3 days in the Newbie’s room at Wink Bingo. Played every 10 minutes, a chance to win £5, £2 and £1 bonuses with every game in the 75-ball room is available. Open 07:00 to 22:00, it’s worth getting up early to get your money’s worth and crack on with the free to play games. Lovely loyalty points can be earned by playing games, referring friends and much more . The more you play the more you earn, from 1 point to 15,000 points. Loyalty points can be converted into bonus cash or exchanged for other goodies. You can often pick up extra points by taking part in exciting promotions. To spice things up, you can also take advantage of some great slots, multi-line slots and superslots, instant games and exciting table games like roulette.